I love watching business-related reality shows, and one show in particular that I used to love was called Tabitha Takes Over. Tabitha Coffey visited hair salons across the U.S. after responding to the owner’s cries for help. Often, their salons were this close to facing closure, and Tabitha’s job was to diagnose and heal the salon’s diseased business structure from top to bottom. In one episode, Tabitha chastised the salon owner for handing out coupon flyers in order to generate new business. “Are you kidding me? Your business is about to close due to lack of money! You can’t afford to offer discount coupons!” she cried. Not only was the hapless salon owner cannibalizing her revenue stream by offering coupons, but she was also alienating the type of high-end clients that she claimed to have wanted and definitely needed to stay in business! They use a variety of marketing tactics designed to attract new business leads with discounts and guarantees. Mind you, there’s nothing wrong with these type of tactics in of themselves…if the business can support using them. But in many cases, small business owners default to using them as a generate-new-business-quickly tactics that fail in the long run. Free trials are pretty self-explanatory, at least on the surface. You get to try the product or service before making a full commitment. You’ve probably seen these being offered by many of the top digital marketers around, so it stands to reason that you’d be tempted to offer a free trial. After all, the word free is uber-enticing, and offering a try-before-you-buy incentive seems to make your prospects feel more at ease about making a buying decision, right? This is all true, but here’s something else that’s true: Try-before-you-buy schemes can attract the wrong type of prospects at the very least, and they can create accounting nightmares for you at the worst! You’ll find that your conversion rate will drop because inevitably, you’ll attract freebie seekers who want to try your offering without having to pay for it. So guess what? They’ll cancel any future payments before they’re due, and in turn, that crushes your revenue projections. “Oh, but what about the ones who forget to cancel before their payment is due? Doesn’t that work in my favor?” you might ask. And you’d be right to ask that question-I could list a number of digital marketers (and offline marketers) who have created a secondary income stream based off product and service subscribers who forget to cancel their payments. But here the thing with that-do you really want to be the person who takes advantage of people who forget to cancel their payments? And also, you can bet that there will be those who remember that they didn’t want to pay for your service a few days after you take their first payment. And these are the people who will make you experience accounting nightmares! You can’t create solid cash flow when you’re constantly offering refunds, and if you’re operating with a payment processor like PayPal, then you’ll feel the wrath of your angry customer when they file a complaint against your account, crippling your ability to receive funds until the dispute is closed. By the way, these are the same reasons why you should avoid the kissing cousins of the free trial, commonly known as the seven-day trial, and the seven-day trial with upfront credit card payment. 30 day guarantees are designed to develop trust in the mind of the consumer. It seems like a can’t-fail proposition for those who are gun-shy about spending their money. They’ll have 30 days to try out an offering during which time, they can change their minds if they aren’t happy, or if they’ve decided on day 29 that they can’t afford what they’ve purchased.You can see where this is going, can’t you? Do you really want to put yourself in the position of biting your nails or getting on your knees to pray every 30 days because someone inevitably cancels their subscription or ask you for a refund? How is this helping your revenue benchmarks? It’s not, and unless your financial coffers are padded well enough to where refunds don’t hurt your business, you can’t afford to deal with refunds every month. And that’s just what 30 day guarantees invite! Even worse than the 30 day guarantee is its more brash cousin, the 100 percent money-back guarantee. This type of guarantee promises that the buyer will be so impressed with your product or service, you’ll guarantee their satisfaction 100 percent, or you’ll refund their money, no questions asked. Reading through the last sentence, you might already hear the alarm sirens going off in your head! Yes, offering this type of guarantee often seals the deal-what consumer wouldn’t want to know that they’re making a can’t lose purchase? If they aren’t happy with the product for any reason, they’ll receive their money back! But that also means that refunds/no questions asked can be exploited in a lot of ways. Let’s say that your customer was in fact happy with your offering, but they realized at the last moment that they made an impulse purchase. You’ll need to give them their money back. What if they were happy with their purchase, but they want to generate more money in their pocket after a wild weekend (or a vacation week) of partying? Better be ready to give them their money back! Or what if they decide to exploit your guarantee by threatening to destroy your reputation on review sites, social media platforms, or even, scam-reporting sites like Rip Off Report? Can you afford the refunds, particularly when some jerk decides to blackmail you into getting their money back? And here’s the thing about it all: The customer you’ve refunded gets to enjoy your offering for free! 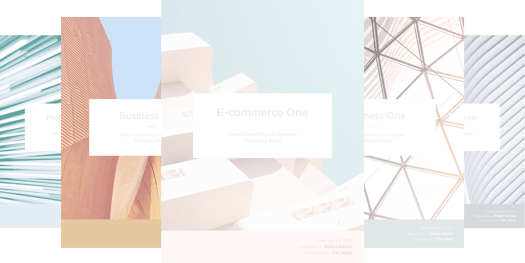 And even if your offering was supplied on a subscription basis, you still failed to generate revenue for the time that the consumer had access to your offerings! And who knows how much data or material they were able to download while having access to your subscription? As consumers, we use coupons all of the time-I’m personally a huge fan of them! You’re able to redeem the coupon for discounted pricing on a product or service. They’re often designed to generate fresh leads for a business, often with the hopes that the new lead will convert into a loyal customer. People who shop for bargains are loyal to the bargain, not the business. While I love the products they offer, I know that they’re constantly finding products to sell with their own in-store coupons, in addition to accepting national manufacturer coupons. Why wouldn’t I take advantage of such great bargains? I would, and it’s a huge reason why I continue to shop at my local grocery store chain! But keep in mind that my grocery store chain (and many other retailers) are HUGE corporations who have the financial and consumer muscle to negotiate the type of purchasing deals that ensure that they’ll remain profitable, even after offering coupons. Small business owner: You, my friend, are NOT in that position, and you operate with an entirely different business model than the models that coupon are designed to benefit. Chances are, you’ll need every penny of revenue you can get your hands on. Furthermore, you can’t afford to train your prospects to look for the deal. And make no mistake-bargain shoppers will always be loyal to the deal before they give their loyalty to an offering, regardless of its actual worth. And before you think about loyalty to a brand, keep in mind that certain brands are synonymous with couponing and discounting. Is that how you want your business brand to be positioned? By the way, this holds true for another (yet slightly) more sophisticated promotional tactic, the early-bird special. Yes, they’re offered for digital products and services, and yes, they definitely attract bargain shoppers who are nightmares to deal with! In the spirit of positioning your brand as high worth while ensuring that you generate as much revenue as possible, avoid (like the plague) using discounting verbiage in the body of your marketing materials. Any word or phrase that speaks to cutting into your revenue generation goals are ones that should be avoided, or removed from your marketing copy. Note that I’m not saying that you should never use the aforementioned marketing tactics. In fact, Bidsketch has been known to offer seven day trial offers in the past. But know that the founder careful calculated his risk against his reward, and he found it in his best interest to offer the trial offer. If you decide to offer the same, then make sure that you think long and hard about mitigating your risk. Don’t use these type of marketing promotions out of desperation, and you definitely shouldn’t use these if you’re currently cash-strapped. Instead, find a way to position your offerings as must-haves. Or you could offer scaled-back versions of your offerings with lower price points assigned (without reducing the price of your main offering). 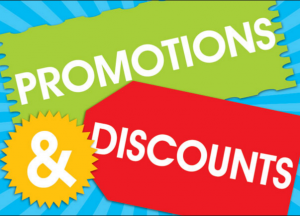 Just keep in mind that you’re not required to use discount or guarantee promotions just because others are, and you might not be in the position to use these at all!